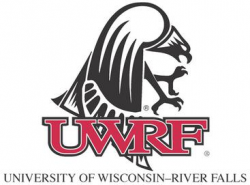 The University of Wisconsin River Falls, a member of the University of Wisconsin System, is located in scenic west central Wisconsin, 30 miles from the multi-cultural, multi-ethnic cities of Minneapolis and St Paul. Year-round arts, cultural and recreational events are easily accessible from River Falls. UWRF's 6,100 undergraduate and graduate students pursue degrees in four colleges: Arts and Sciences, Education and Professional Studies; Agriculture, Food and Environmental Sciences; and Business and Economics. The University provides an excellent environment for learning, emphasizing the importance of faculty-student interaction in classrooms, laboratories, academic advising, and co-curricular activities. A favorable student-faculty ratio affords opportunity for meaningful interchange between faculty and students. Strong interests in teaching, research and community service are highly valued. More information about UWRF can be found at: http://www.uwrf.edu/workhere/.